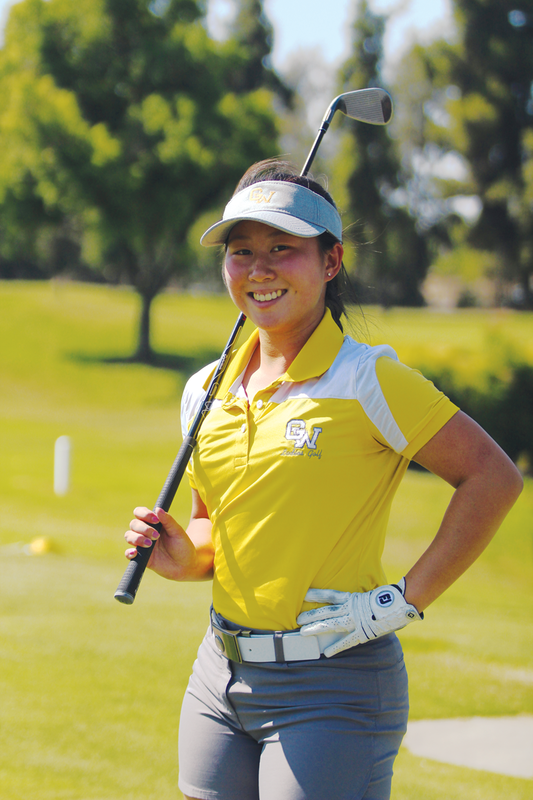 VISALIA – Mya Chao entered high school as a soccer player and did not pick up a golf club until her freshman year. In hindsight, she made the right choice to hold onto to the club after gripping a championship plaque last season. Chao carded a three over, 75, to become the individual champion at the D-III Valley Championship Tournament at Valley Oaks Golf Course. Playing in her final season, she is looking to finish with even more hardware. “It would be awesome to leave a legacy and be able to represent my school,” Chao said. Chao always knew winning a championship was a possibility but had her doubts. In the same tournament in 2016 she shot a 107 at Lemoore Golf Course. One year later she took full advantage of the Valley Championship Tournament being held at her home course of Valley Oak and shot the lowest score of her career. She carded a three over, 75, to win the individual championship. Superstition is something Chao does not have on the golf course. Still, she found the combination of the number of birdies and the ball number she played interesting at last years’ championship game. At random she picked a ball with a number three on it which just so happens to be the same number of birdies she made in the round. This season, Chao enters with a few changes. The most notable among them is a new swing. The rising popularity of fading the ball on the PGA Tour led those around Chao to suggest the switch. To adapt to the change, she began taking lessons from a new swing coach, Visalia Country Club assistant professional AJ Shiffert. However, Chao seems to be stymied with the beginning of the season only weeks away. It has been a month since Chao and Shiffert have had a lesson, leaving anxiety about her ball striking. Despite the uncertainty, Chao has placed her confidence in her short game. “Anyone can hit the ball far, but you have to have feel around the greens and that is what the game comes down to,” Chao said. Golden West as a team is returning five players off last year’s D-III runner-up valley championship result. As a team, the Trailblazers shot a combined score of 506. Only Kelsey Story graduated. Story shot the second lowest on the team with a 105 at last year’s tournament.